"Pizza Address Labels" product is already in your cart. 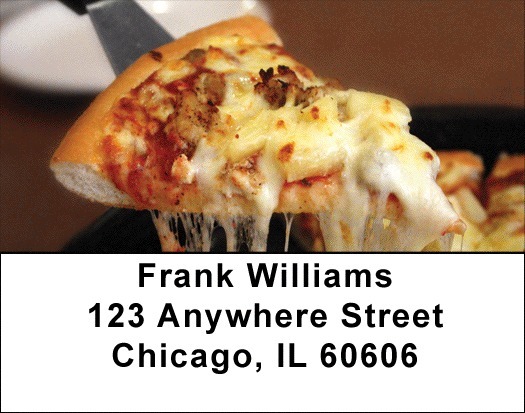 Pizza Address labels will whet your with pictures of mouth watering, cheesy, succulent pizza. Pizza doesn't have a day for its own celebration - pizza is so popular it has a whole MONTH long celebration. In case you are wondering, that month is October. Your piping hot Pizza Address labels are self adhesive. Matching checks are also available.